The fact is I could (and did) put together much of this article without referencing my CDs or the internet. 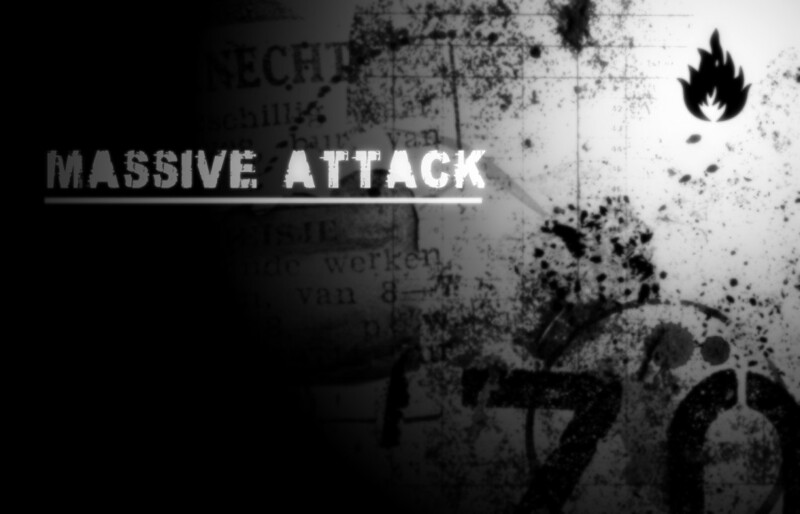 The works of Massive Attack are so important to me that the stats and song titles simply roll off the … Keyboard. 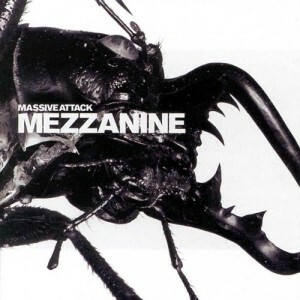 Massive Attack started as a production group, before the trio realised that they could simply write their own tracks and utilise a rotating cast of exceptional session singers to sing their lyrics. Wise move guys. I discovered Blue Lines first after seeing Safe From Harm on Rage late night music TV. I listened to the tape incessantly for weeks on end in my 1985 Sigma without ever feeling impelled to consider another album from my collection. Protection arrived as I contemplated a move to he city (which happened shortly after), again it was absorbed and mainline s into my system at an incredible rate, though by this time on cd. By the time Mezzanine arrived I was already a devotee and had converted my entire share house full of other guys (and occasionally gals). We played he “bass heavy music” loud enough and often enough to get a complaint from neighbours delivered through our real estate agent. Mezzanine also marked the first time I saw Massive live, and I still consider it to be a high watermark in my live music experiences. 100th Window took too long to arrive and failed to pack the requisite punch. I gradually came to appreciate it more, but more as isolated songs than as an album, it’s too samey and lacking in inspiration to work as one lengthy piece of music. But back to the beginning. I was seventeen when Blue Lines was released and smack dab in my Rage watching years, staying up watching music videos for hours on end with a mind and an endurance not yet tainted by years of alcohol. I also had my first job and my first car, which required me to drive in one for 45 minutes each morning to get to the other. Then the same trip home of an evening. While at work I would use my hour long lunch break to head to the video/music shop and browse, usually exercising enough self control to only buy a few albums a week. 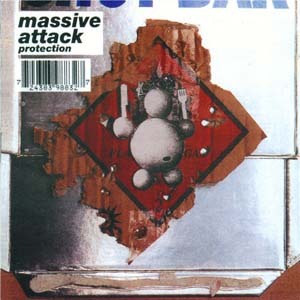 In this way Massive Attack saved me money, because after I saw Safe from Harm I went out and bought the tape a week or two later. After that I had perhaps the only tape that car saw for a few months. I simply let it play through again and again. Safe from Harm might be one of the greatest pop songs ever, and if it isn’t Unfinished Sympathy is. Only 9 songs long – and one of them is the quite indulgent Hymn of the Big Wheel, Blue Lines is the album of the 90s for me. I had never heard anything that made me want to hear so much more before this. All down tempo, with whispered half rapped vocals and strained off kilter samples, the album also had string flourishes but somehow remained kinda funky. The strength of the album was the vocal choices, the half rap stuff was fresh and new – as was a young Tricky on guest duties – but the group were wise or reluctant enough to know that mixing things up would retain listener interest. Hence the arrival of Horace Andy’s honey soaked crackling voice, and Shara Nelson’s powerful and soulful input, which in particular elevated Unfinished Sympathy to another level. Blue Lines was a towering accomplishment. It single handedly introduced the (over used) phrase ‘trip-hop’ to a label loving society, gave Tricky a career and revived that of Horace Andy. It should be required on any iTunes collection or probably more relevantly given the listener’s age – in any discerning cd collection. 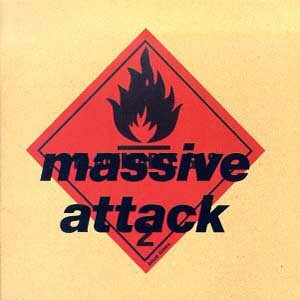 Thankfully though while Massive may never have topped this album, they damn sure tried. OGR Rating – 10 / 10. For what it is and what it did. With Shara Nelson trying to forge her own career (I don’t know why she never made it), Massive teamed up with Everything but the Girl’s Tracey Thorn on album #2′ which arrived only a few years after the first, a trend that would not continue. The titular track was a languid and sprawling 8 minutes, a stubborn indicator of a sign that never bowed to trends. The album itself is somehow even more chilled than Blue Lines, with only EuroChild daring to quicken the pace even a little. Better Things tried to be the albums Safe From Harm and went very close to getting there. Karmacoma was remixed and revised to within an inch if its life over and over – I have at least 6 versions on my iTunes and another few as B sides on various singles. This was the last album to feature Tricky and thankfully the last to have a live cover close proceedings, with the off kilter Light my Fire a regrettable misstep. aside from that though this is another brilliant and consistent effort. Even the instrumental tracks on this album are more confident and better realised than any other, Heat Miser being the standout. All in all though, a magnificent follow up, and proof that Blue Lines wasn’t an incredible fluke in any way shape or form. OGR Rating – 9.5 / 10. The 0.5 deduction is only because it takes me a few seconds of Light my Fire to remember the album’s over and to press the ‘next disc’ button. Some loathed the new loudness, the obvious guitars instead of the muted samples. Others gave it time to breathe before leaping to conclusions. Darker, less immediately accessible and definitely less friendly, Mezzanine requires patience and repeated listening, though tracks like the ever escalating Inertia Creeps and Teardrop remain for those who fear a challenge. The first Massive album with absolutely no weaknesses, even the closing track Exchange (Revisited) builds on an excellent instrumental by adding vocals that weren’t required, and is all the better for it. Blue Lines might be more important, Mezzanine is more demanding, more vital. More urgent. OGR Rating 10 / 10. Dark pop/lounge/trip-hop gumbo. The soundtrack to a beautiful descent into madness. Haters gon hate. So let’s get right to it. 100th Window was the victim of the expectation borne of five years of waiting, during which time the band members argued and bickered, with an entire album’s worth of songs apparently scrapped because of discontent with the sound. Unfortunately even once the band agreed that this album was ready to release, it remains frustrating, with a series of interchangeable songs with similar production and unremarkable lyrics and hooks. This album was the first with a female vocalist who didn’t quite gell ( Sinead O’Connor), and the first where 3Ds breathy raps were underwhelming. Only Butterfly Caught, with its insistent groove and heavy bass, managed to stand out from the crowd – and even that wouldn’t crack the band’s Top 20. 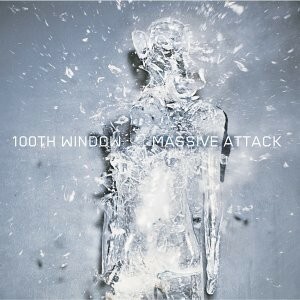 Despite all this 100th Window is a consistent and listenable album, just not when compared with the work of Massive Attack. OGR Rating – 8 / 10. Definitely a case of I like your old stuff better than your new stuff. Sometimes it is better for an artist to come out and say ‘that’s it. 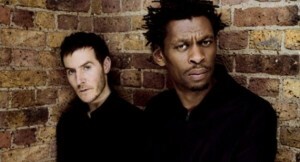 We’re done!’ Rather than continuing to tease with rumours and hints, especially when it was all too obvious that Massive Attack had no internal harmony, leading to a lack of harmony in album form. 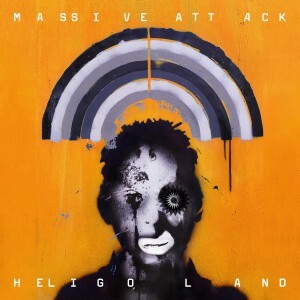 Now a duo working sporadically together but often apart, and with a million willing session artists and guest vocalists on call as a legacy of their early brilliance, Heligoland is a strange and disjointed piece of work. It also includes the first Massive song that I actively HATED in Flat of the Blade (I only previously pitied Light my Fire for having to stand next to giants). And I tried. I really did. I sat in my car for an hour one night listening to the album full through, away from the distractions of my home or work. To no avail. Pray for Rain is a strong opener and elsewhere Girl I love You benefits from a great Horace Andy vocal. But Splitting the Atom sounds like a wannabe One Man Army, and even the welcome presence of Hope Sandoval can’t make Paradise Circus any more than a *** track. OGR Rating – 7.5 /10. A decent album, but if I didn’t know who it was I would never have bought it. You consult Massive’s website and you might get more political updates and opinion than two hours of CNN. You follow them on Twitter and you might see the latest soccer game they attended. In truth we might be better served not having a new Massive Attack album, the downside risk at this point appears higher and more likely that the upside. Maybe I don’t want it to arrive, but that doesn’t mean I will stop waiting. As I assume millions of other similarly deluded and hopeful fans continue to do. In the meantime, Blue Lines keeps calling me back. This entry was posted in Lists, Love & Hate, Music, OGR Recommends, Showin' Lurve. Bookmark the permalink.